There's no space in the home filled with more imagination than the playroom! Creativity and self-expression are the cornerstones of childhood, and our handcrafted wooden activity tables are the ideal spaces for those beautiful moments and memories to take root. Whether painting, building, writing, or even taking a break for a snack, our hand-finished tables will stand up strong and retain the solid wood beauty put into them by our dedicated Amish woodworkers through years and years of fun and laughter. 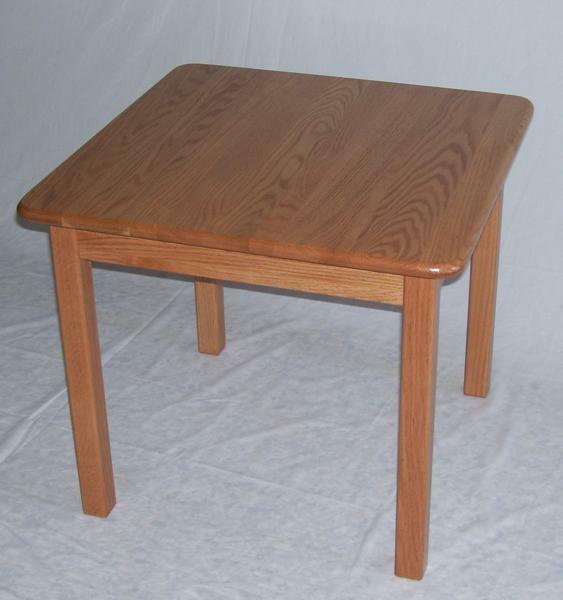 Our square activity table is one of the most versatile items we offer. A regular activity table by day, the addition of a tablecloth or simple decoration effortlessly transforms it into a kids' wedding table, a dining table, or even a lemonade stand or impromptu pillow fort. Every element is built by hand from solid wood, promising you the kind of quality and durability that our Amish woodworkers demand in their own family furniture. Use the menus above to create your ideal square activity table. If you've any questions at all - including ideas for different playroom activities - please don't hesitate to get in touch! This is the table only. The chairs are sold separately.